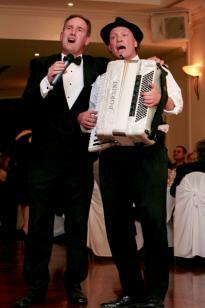 Aldo is The Singing Waiter – Luigi the Chef – Piano Accordion. Just visiting Australia to learn more of the English. The entertainment has a technical problem cannot play music. Don’t worry he’s Italian he’ll sing & his friend Luigi, who happens to be the chef will play piano accordion. Starting with a toast, Brindisi from La Traviata, he begins a journey back to the homeland with O sole mio. You cannot just sit on the bottom now it’s time for you to sing & fly with Volare. We mustn’t forget La Famiglia so time to pay respect to Lego’s pasta sauce with La Donna e mobile. Hey you know this one Quando, Quando, now you can’t stop him That’s Amore. 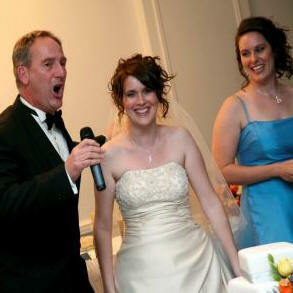 But Aldo has no fear when he sings the Nessun Dorma without the other two tenors. But is he a Singing Waiter????? Find out for yourself & book The Singing Waiter TODAY! 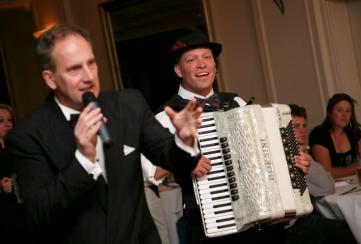 For Audience more than 150 - one radio microphone + input for piano accordion radio microphone with PA.